I’ll just be honest right up front: I think the Freewing Ultimate 10-300 bipe is totally adorable! I knew that even if it didn’t fly well, I would love having it just to see it hang from my ceiling. Admit it, you can’t help but think so when you look at it! OK, that’s out of the way, now we can be a bit more scientific about it. I’ve been looking for something different to try out recently, and I’d seen this Ultimate on several vendor websites. After waffling back and forth several times (who me?) Bobby finally told me, “Dude, just buy the darn thing already!” So this one is most definitely Bobby’s fault! 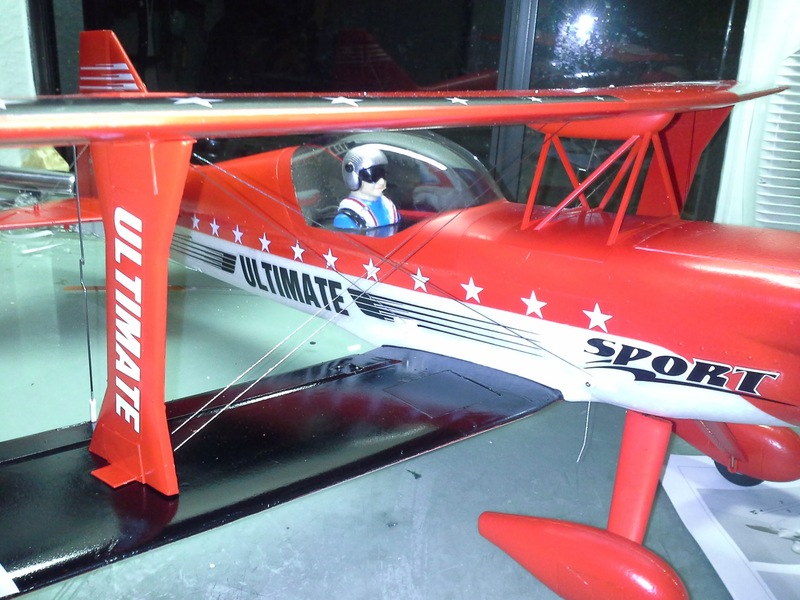 You can get the Freewing planes from many vendors around the globe. I paid full price for this review model, so I’m not endorsing any particular vendor here. In other words, use your favorite or most logical vendor, as if logic could possibly to any hobby purchase! So the order was placed, along with some spare props in various sizes and also a 4S 1600 pack to try it out on the recommended 4S power system too. In a few days it arrived at my door (in perfect condition no less) and I was out of excuses. Time to clear off the work bench and see how this thing goes together! Assembly starts with the tail, where you are instructed to use double-sided tape to hold the horizontal stabilizer to the vertical fin assembly. I couldn’t find that, so I just used a tiny bit of hot glue. I have no doubt some thin double-sided tape would work fine here, I just didn’t have any handy. 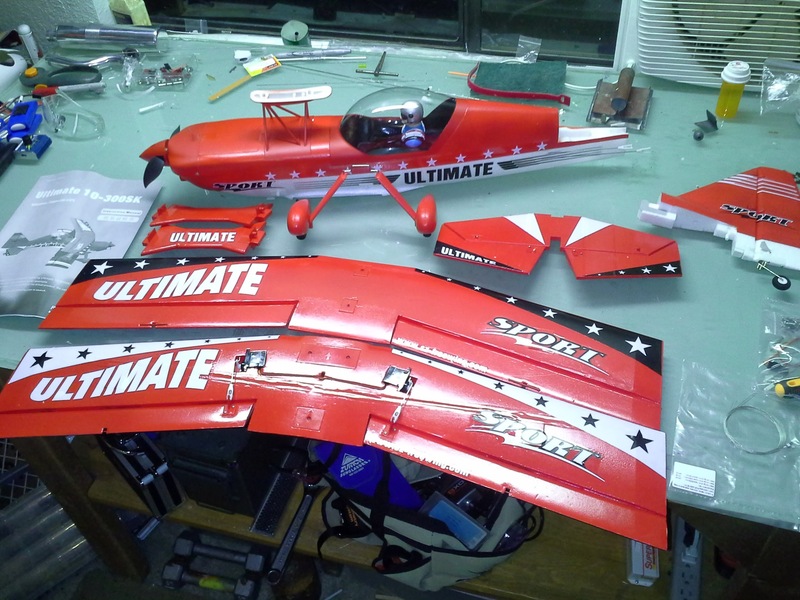 You then move on to the wings, where you untie the aileron servo wires and plug them into the included Y-harness. 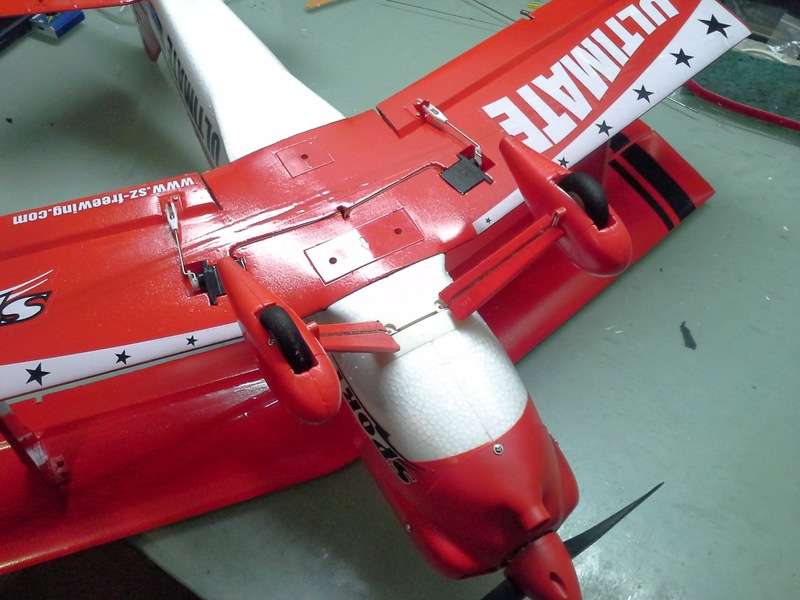 From there you simply plug in the interplane struts, bolt the lower wing to the fuselage, and install the top wing. 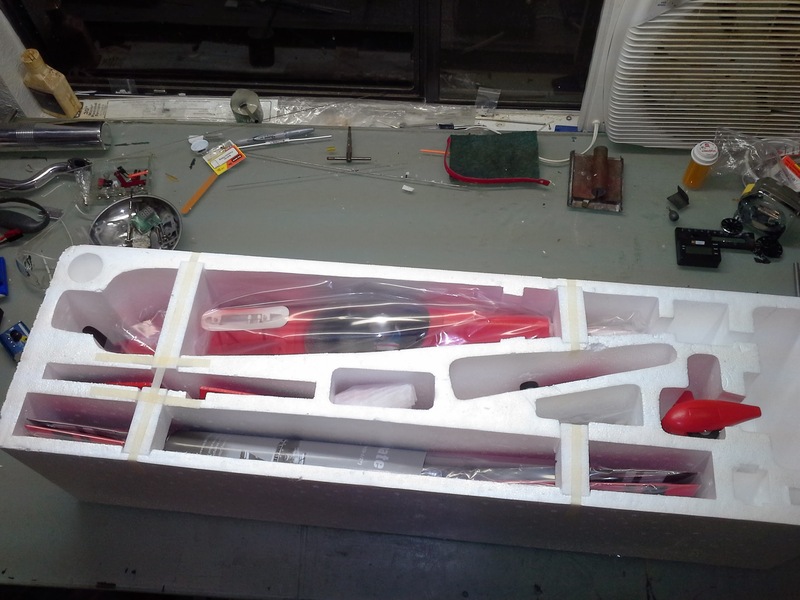 The landing gear is already assembled, and plugs into the fuselage. Two screws retains it, and presto! Within a few minutes, you are basically finished! All that is left are the flying wires. I checked some of the threads I found on this plane to see if others used the wires, and couldn’t really find much reference to them. I felt the stiffness of the airframe and think one could probably get away without them on the wings, but the tail is rather floppy without them. Once the wires are installed it is quite strong and can withstand ridiculous snap rolls and tumbles without issue. Installing the flying wires was without a doubt the most fiddly bit of the assembly, but once I figured out the routing it wasn’t too hard to do. A good pair of hemostats really helps thread the wires through the plastic bosses, and a steady hand is a must. Again, don’t skip the tail wires, they really add to the strength! Just be careful and don’t pull them so tight you warp the surfaces, they need to just be taut. Ah yes, the part we all love! I wish I could say the weather was perfect and the first flight went off without a hitch. Well, I could say that, but I’d be lying! The wind was 17mph gusting to 29mph (crosswind to boot) and my first takeoff attempt ended with a nose-over and busted prop! Drat! I can’t take all the credit for that though, it turns out there is insufficient clearance between the wheels and wheel pants, and if you side-load the landing gear at all (such as with a crosswind) the tires scrub and act as very effective brakes! Once I got it in the air, I was well pleased. The ailerons are QUICK! Be sure to use expo, or very gentle touch on the sticks. Snap rolls are ridiculous, both inside and outside. Loops track well, knife edge is brilliant… the darn little things just flies great! And all this on 3S! Here’s the deal though: I was using an 8×6 prop, not the 7×6 included with it. I suspect performance on 3S might be milder with the smaller prop, but if you plan to run 4S you probably need the smaller prop. I saw 30 amps / 340 watts on 3S, but on 4S it was 40 amps / 640 watts! That’s on the ragged edge of the included 40A ESC’s specs, so tread with caution if you run 4S on an 8×6 prop. I can tell you that the performance on 4S is completely bonkers, and a lot of fun though. The good? Well it’s adorable. It looks fantastic in the air and on the ground. 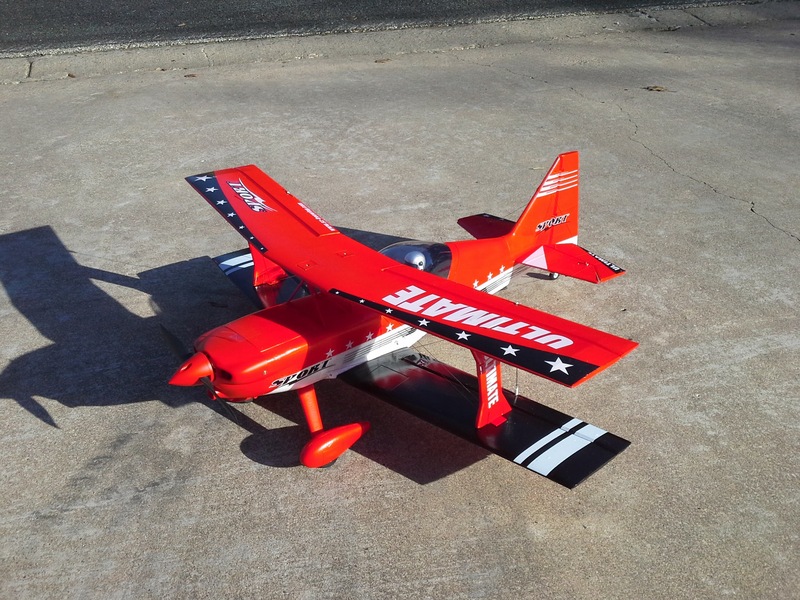 It goes together easily, flies great, and did I mention it’s adorable? The bad? The flexible landing gear and tight clearance on the wheels invites noseovers. Forget about flying it off grass with the stock gear, unless it’s a putting green. The included pushrod and clevis hardware is kinda cheesy, but to be honest it is working fine. Anyone who likes bipes would love this one. It’s compact in size (which is good, because you don’t want to take it apart all the time with the flying wires to mess with), and it’s a good flyer. It is NOT for the beginner though, it’s a typical small bipe: It’s nimble, it gets small in a hurry (especially on 4S) and it won’t tolerate inattention. I will also say that it’s not a 3D machine, but is an excellent high energy aerobat / IMAC plane. I love it! I’ve always had a soft spot for the Ultimate bipe, and have wanted another ever since I scratch built one back in the 90’s. I don’t regret buying this one, and I think it’s an amazing value. I’ve started a thread in our forums to discuss this plane. Feel free to join in! Here’s a link to the Picasa / Google album with all the photos I took of the build, including a few after the first flight that shows the mods to the wheel pants. The video of the maiden flight isn’t much, it was horribly windy so the audio is bad. And of course I was flying it high and fast! Apologies complete, here’s the video.